Here at Interfaithfulness, we serve both Christians and Jews, but not always through the same project. One of our projects especially designed to serve single and married or intermarried Jews and their families is HaB’er. Our mission statement for this project is “Living well at home in Jewish life with the Messiah.” Here is what we say about it in one of our internal documents. HaB’er is dedicated to helping Jews, Intermarrieds, and their families to know God in Jewish life through Yeshua. Our key word is deeper: we want to take people as deep as they are willing and able to go in relationship with God, in faith in Yeshua, and in Jewish life. Nothing more, nothing less, nothing else. We distribute a weekly worksheet called “Shulchan Shelanu” (“Our Table”) to the households we serve. Its purpose is to assist these households in growing in Jewish life, relationship with God, and Yeshua faith (three factors we term “The Three Stranded Cord”) integrating these week by week, because we believe the three are supposed to support and enhance each oher. We especially want to help people work through their uncertainty in engaging with a developed religious tradition, the kind of help that makes them realize, “I can do this!” Other materials and modalities besides Shulchan Shelanu are currently being planned to carry the project further. This growth in Jewish life is important, and ought not to be taken for granted. One of my adult children wisely said, “Dad, assimilation (for Jews) is not eating a ham sandwich. It is forgetting who your people are.” Stunning and true. And even those Jewish believers in Yeshua who make a big deal of their Jewish identity have learned to be Jews after the pattern of the someone else’s vision of who the Jews were, are, and ought to be. Their connection to Jewish ritual life is vestigial and nostalgic. And the image of Judaism and of ourselves that many Jews who believe in Yeshua have learned to see see is distorted, like a mirror in a Coney Island arcade. The Jewish community has known for millennia that religious identity and spirituality are foundationally shaped in the home through the pattern of practices one experiences in the home day-by-day, week by week, month by month, from year to year. These practices are embedded in the warp and woof of day-to-day life. Robert Wuthnow defines his terms and speaks to the issue. Both the practical and the embedded aspects of embedded practices are significant. A practice is a cluster of activities that is pursued deliberately. It takes time and energy and it requires one’s attention, meaning that the pursuing of any particular practice is accomplished only at the sacrifice of other possible activities. Growing up religions was a memorable part of people’s childhood because it included such activities as praying, memorizing Bible verses, polishing one’s shoes in preparation for Sunday services, sitting on hard benches, opening presents, and going to picnics. These were discrete, separable activities that took time away from other interests, and they were also embedded in social relationships. People did them with their mothers and fathers, their grandparents, their siblings, and their friends and fellow congregants. Few of them remembered being especially curious about metaphysical questions as children and few of them recalled significant teachings that provided answers to these questions. They assimilated religion more by osmosis than instruction. The act of praying was more important than the content of their petitions. Being in Sunday school was more memorable than anything they may have been taught. Fried chicken or seders or statues of Mary provided the texture of their spiritual understanding. 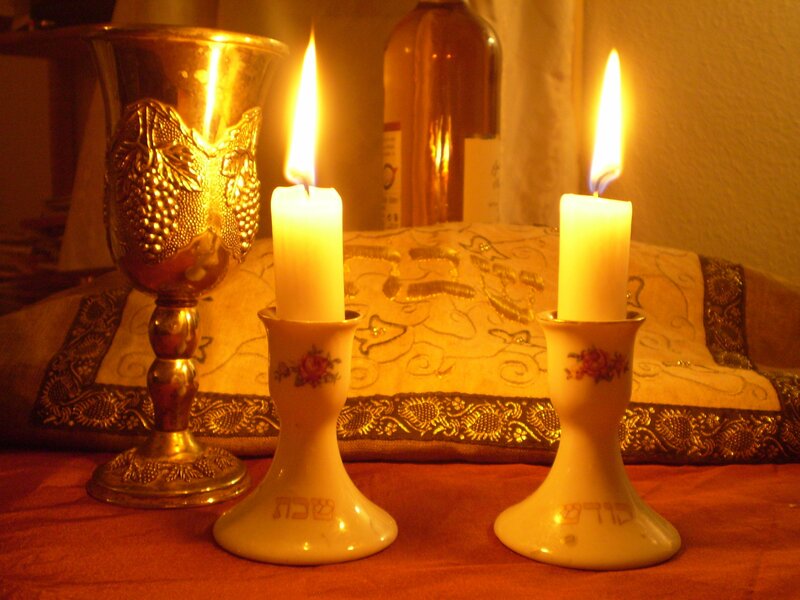 In Jewish life the home, the mikdash m’at, is the Holy of Holies from which spiritual identity and vitality radiates out into the world and daily life. Apart from this center, all is empty religious noise and clamor, and instead of being sanctified, life remains profane. And if the movement of Jews who believe in Yeshua is to have any sort of Jewish future, it must begin here–or end in a generation or two. If you want to know more about these things, here we are. Robert Wuthnow, “Growing Up Religious: Christians and Jews and Their Journeys of Faith.” 1999: xxxvi. Michael Fishbane, Judaism: Revelation and Tradition (New York: Harper and Row, 1987) 83-34, quoted in Ericka Meitner, “The Mezzuzah: American Judaism and Constructions of Domestic Sacred Space,” in Louis P. Nelson, ed., American Sanctuary: Understanding Sacred Spaces (Bloomington: Indiana University Press, 2006: 182-202), 183. accessed March 26, 2015, http://muse.jhu.edu/books/9780253111968/.